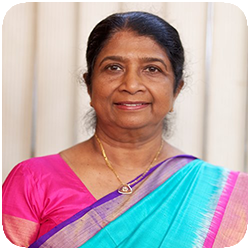 Prof Dr. Jaya Kuruvilla, currently working as a Principal/Professor : College of Nursing P.D.Hinduja National Hospital & MRC, Mumbai , India. Centre of Excellence in Nursing Education with NAAC A grade as an independent institution and being an Assessor of National Assessment & Accreditation Council Assessor, India , Ph. D. Guide at Maharashtra University Health Sciences, Nashik, Maharashtra India and Ex-Dean Allied faculty MUHS Nashik. She is founding and Present President of Critical Care Nurses Society, India & President RFCCN, SAARC countries. Under her Leadership many credit based educational programs (CNE) for nurses of the country through workshops ,conferences and online training modules are conducted. Published Books since 2006 : Essentials of Critical Care Nursing, Genetics for Nursing & Allied Health professionals, Medical Surgical Nursing by TNAI-Chapter & many articles in Journals. Presentation / Publications & Conferences in India, Oman, Jordan, Kuwait, New Orleans, USA, Dubai, Nepal, Srilanka, Rome Italy, New York. Achievement: Commissioned many Nursing colleges and Surgical ICU at CMC Vellore. Pioneer in developing Critical Care Nursing practice standards with CCNS and Innovative teaching strategies. Conducted and presented many research projects. Commenced Lactation Nurse Practitioner program for Nurses only centre in India and a Certificate Course in Wound Management. She considers it as a great honour to attend the World Congress of Intensive Care 2019 hosted by ACCCN, ANZICS & WFSICCM at Melbourne Convention and Exhibition Centre, Australia.